A masterpiece of stage management for this Jeremy Corbyn speech. That's our verdict of the Labour leader's keynote speech at the Labour party conference in Liverpool. Yes, the speech itself was more than half-decent. Commendable, in fact. But it was the event itself that's caught our attention. Because it took nearly 35 minutes of stage setting from the time when Jeremy Corbyn and the shadow cabinet entered the Conference building and the start of his speech. That's right, 35 minutes. But all was not lost. Because the magnificent conference organisers filled that time to perfection. So, we had music. Piped music to start with, then live choral music, and then a resumption of piped music. This was remarkable. Because only two years ago the conference organisers were all at sea over secure communications and G4S. The sound tracks were noteworthy themselves. Not least, because they helped to create the mood in the conference hall and set the atmosphere to perfection. What can you say? A great choice of piped music to precede the keynote Jeremy Corbyn speech. The Liverpool People's Choir supplied the choral music on the stage. And that was equally solid and very good. Their music was also selective: A Change Is Gonna Come by Sam Cooke and then He Ain't Heavy, He's My Brother by The Hollies. Again, their choice of music to sing was just right for mood and atmosphere as the audience waited for the Jeremy Corbyn speech. And, of course, it was a wait. But that's stage management at its very best. And the speech itself? It delivered what his audience wanted and, presumably what Jeremy himself intended. Yes, there was the occasional stumble. But then, Martin Luther King stumbled. And so too, did Tony Blair. Yes, the matter of unity reared its head. Again, we expected that. 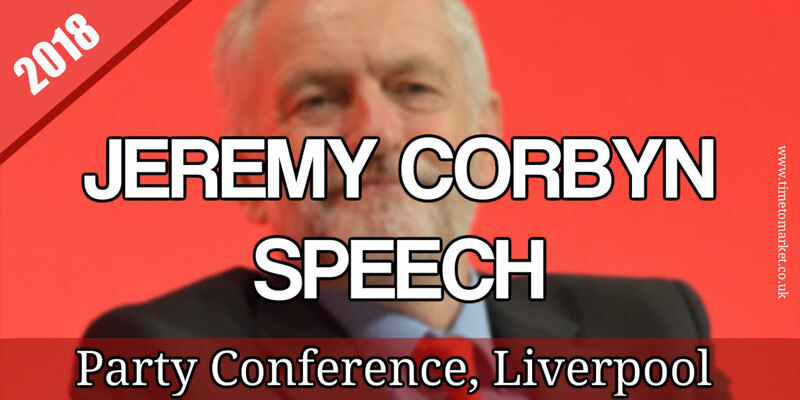 But the Corbyn speech did far more than the Jeremy Corbyn conference speech in 2016, also in Liverpool. Unity was absolutely everything at that conference. So, an excellent stage managed event that delighted nearly everyone in the conference hall. But one last thing, will one of the women in Jeremy's life help him buy a suit that actually fits? Because we can all live in hope. Sartorial change is gonna come. It has to, surely? 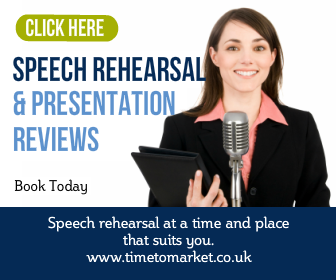 You can always find out more about conference speeches with our regular posts, public speaking tips, podcasts and videos. 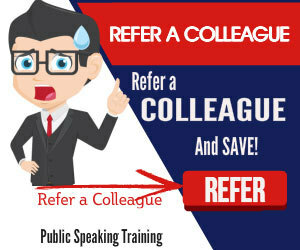 And, when you want to give your own speeches the star treatment, then don't forget training. Because a well-time course or coaching session could be just what you need. Please don't hesitate to get in touch when the time is right.